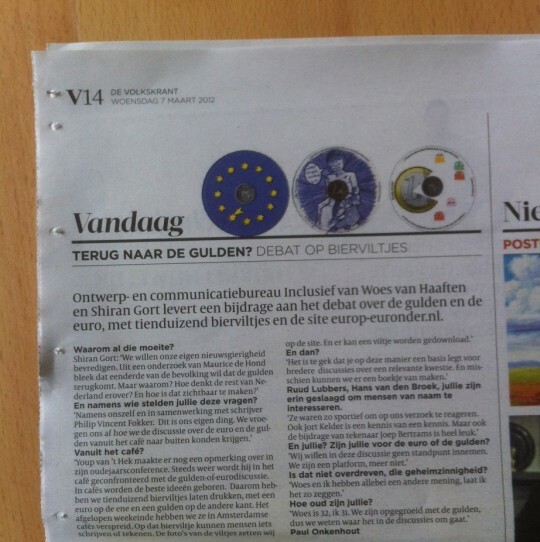 Euronder - wij willen PIEK! PIEK! 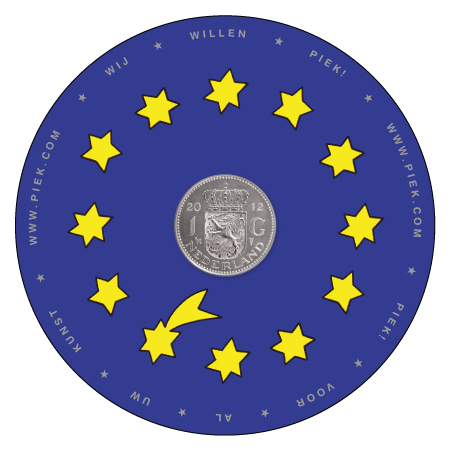 made a pro guilder (piek) beer coaster for Europ of Euronder (Eurup or Eurdown). Europ of Euronder is an initiative of design bureau Incl. (Including) following the discussion or Guilder should come back as the national currency.